I read this article and found it very interesting, thought it might be something for you. 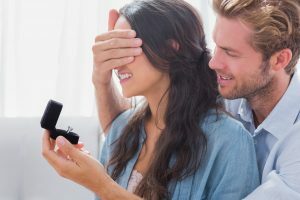 The article is called 5 reasons to say “I do” to the prenup and is located at https://www.rocketlawyer.co.uk/blog/5-reasons-to-sign-a-prenup/. In March 2015, Cheryl Fernandez-Versini (as she was known back then) made headlines, after her whirlwind marriage to Jean Bernard came to a steady halt after nineteen months. The split looked certain to make a dent in Cheryl’s £20 million fortune, with legal experts saying Jean Bernard could be in line for a cool £8 million. The reason? The distinct lack of a prenuptial agreement or “prenup” – a formality which the couple regarded as manifestly unromantic. Johnny Depp also felt the pinch this week after Amber Heard, his wife of fifteen months, filed for divorce after citing irreconcilable differences. Following the trend of celebrity marriages, a prenuptial agreement was decidedly absent, meaning Heard could be entitled to at least half of Depp’s fortune by virtue of California’s “community property” method, under which, the couple’s joint assets can be divided equally. With so many celebrity marriages ending in divorce, the need for a prenuptial agreement is growing in significance. Part financial planning, part legal document and part romance-killer (allegedly), a prenuptial agreement isn’t just for overly amorous and unwitting celebrities. Despite its reputation, there are actually some real benefits to the stigma that is the modern day prenuptial agreement. Prenups seek to “ring-fence” assets, so that they are excluded from the pot of assets on separation or divorce. They can also make specific provision for what one party should receive on separation or divorce, thereby securing parties’ positions for the future. A prenup also avoids uncertainty and in turn disputes, providing reassurance that the parties are together for the right reasons and not simply because one is wealthy. Prenups preserve the expectations of the parties and prevent surprises in the event of a divorce. For a prenup to stand the best chance of being enforced by the Court, there should be an exchange of full and frank disclosure between the parties prior to entering into the terms of the Agreement. Upon your death, a prenup may award certain property to your children instead of your surviving spouse. Consider that the surviving spouse can do what they wish with your property, including give it to their family or other children. A prenup agreement may ensure that family heirlooms remain in your family by requiring that they be given to a named family member instead of your surviving spouse. Prenups can determine how liability for debts will be distributed between the partners. They can also help protect each party from issues with creditors. A prenuptial agreement is a powerful, protective document for anyone who is contemplating marriage. Such an agreement can protect your interests and goals going into a marriage and ensures that an unsuccessful marriage does not permanently injure you or your family members. Create a Prenuptial agreement with Rocket Lawyer today!